Are you looking for effective ways to advertise your website? Finding a way to reach your online customers can be easy when you implement the correct strategies. Creating an amazing website is great, but it you aren’t getting the right traffic, the site will not provide value to the company. 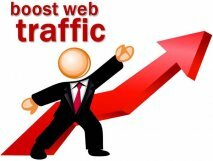 Organic traffic is the best way to boost your rankings, and drive the right customers to your website. Use theses 7 steps to help you advertise your website correctly. The world of blogging has expanded rapidly over the past few years. As the search engines cut down on the amount of spam links, certain blog posts will be targeted as spam. The ideal way to guest blog with other websites is by establishing relationships with them. Find websites that are related to your company and can benefit your website by submitting a quality post with a relevant link to your website. Establish a blog on your website that is filled with the right information to benefit the customers in some way. Avoid any blog owner that charges you for posting on their website as this is in direct violation of Google policies for guest blog posting. A blog that is frequently updated will boost your website rankings, as Google’s algorithms feed on new and timely content. Blogging in a way that answers questions that are frequently asked by your customer is one of the best ways to advertise to the customers as you can directly answer their questions with in-depth blog posts that could rank in Google when they use that question as their search query. Finding the right audience to consume your content can be difficult without the right connections. When you work with content distributing channels, you are likely to obtain higher rankings due to volume of exposure your content will receive. Content distribution tools like Outbrain for example has a large audience, making it easy for them to connect companies with a large audience for content consumption. Social media provides a wonderful opportunity for businesses to connect with their customers. Proper usage of social media will allow a company to engage in word-of-mouth marketing. You can build a large network of followers by focusing on the various social media organizations, and they are free to use. The world of email marketing is still one of the most powerful advertising tools. Email provides a company with direct access to the consumer, and most consumers willingly sign up for email promotions. To effectively start advertising your website with email marketing, you must start sending an email newsletter. Offer advertising or sponsorship opportunities to other clients, and include guest posts and valuable reader information within the newsletters. The great part of email marketing is how it can be used for good public relations. You can send out direct messages to customers when you are announcing new employment opportunities, company growth, product development, and so forth. It is a great way to get local and national media attention as they will subscribe to the emails if they have an interest in the company. In a world where customers want information quickly, YouTube has emerged as one of the best places to advertise your website. The content you create for YouTube can be informative and entertaining. Customers will enjoy both options, and it provides your company with a great way to cement the brand image in the customer’s minds. For example, if you want to learn how to change an air filter in your car, simply watch a YouTube video on it, and you may easily find yourself buying the recommended air filter, or using the company’s website to find additional videos. YouTube allows companies to establish a profile on their website to host the videos, and you can share the videos on your company’s website, and other social media accounts. If you want to learn how to advertise a website, YouTube is by far one of the best places to start. People can subscribe to your YouTube channel, and as long as you continue uploading new videos that benefit them in some way, they will keep watching and sharing the videos.